Why are Gaia keen to work with Logic? Gaia understands the value of the education offered by Logic and supports the school by providing curriculum and technical support as well as training and work placement opportunities. Gaia also provides ICT equipment that is not normally accessible within a school environment, whilst also providing opportunities for students who are interested in a career within engineering and systems support. What are the benefits to Gaia of working with our students? Gaia finds it challenging to recruit suitably qualified candidates for IT support and management positions and is keen to work with Logic to help students develop the skill base and experience required by employers. What are the benefits to students of working with Gaia? How did Eric get on, and what impressed you? Eric has done really during his time with Gaia and has developed a range of skills e.g. technical support, communication skills, problem solving skills. Eric readily asks questions and has a great understanding of his limitations and ways to improve and develop further. Why are Premier Inn keen to work with Logic? Providing work experience opportunities to students who are interested in working in the hospitality sector gives them a more detailed knowledge of the industry as well as an insight into day-to-day operations and wider opportunities. By working in partnership with Logic, Premier Inn hope that some students will develop an interest in a future career in the hospitality sector, whilst also gaining an understanding of the varied career opportunities open to them. What are the benefits to Premier Inn of working with our students? 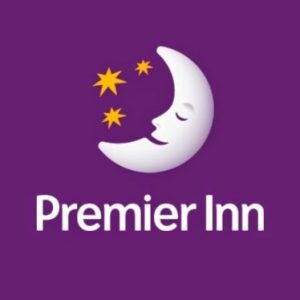 We hope that those students who take up a placement with Premier Inn will learn new skills from our team and also experience the passion for excellence and customer service with is very much part of the Premier Inn ethos. Staff will support students, and with huge growth plans across the UK there may be the opportunity to join the Premier Inn team in the future. What are the benefits to students in working with Premier Inn? Students will gain extensive hands-on experience within Premier Inn hotels, and will develop skills they would not be able to learn in the classroom. Gaining practical experience will help students compete in the jobs market as they develop their careers. How did Malkit get on, and what impressed you? Malkit was one of the best students we have had through our partnership with Logic. He was very efficient, confident, hard working, helpful, a good team player and extremely well liked by the team and also our guests; he even had a compliment sent by a guest to our Head Office. One of the key things we look for in our team members is a positive attitude and approach to helping our customers; Malkit had this by the bucketful and he was a delight to work with.